I'm not going to lie to you, it's been a rough couple of days. 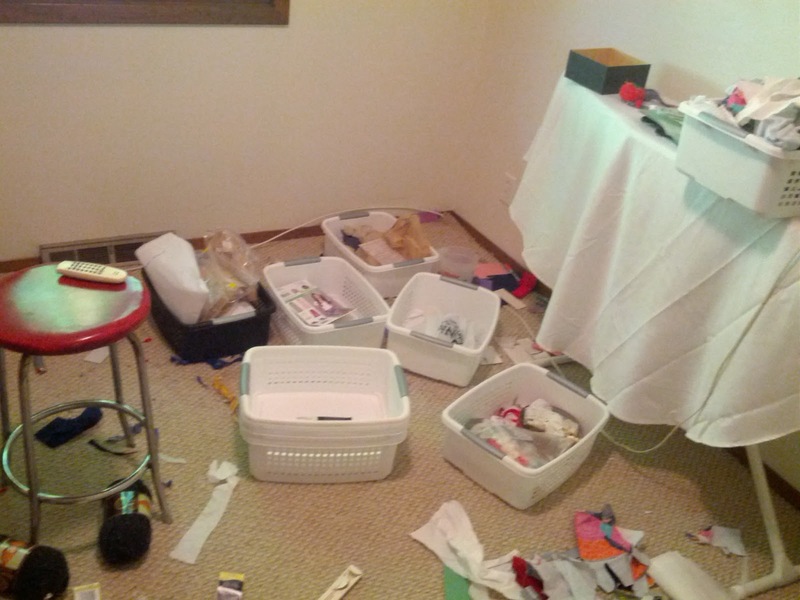 First of all I'm moving my sewing room, which should be super exciting. However Steve Sleeves and I have to swap it with our guestroom/storage room next door, which leaves a lot of stuff in the hall. I am trying to take this opportunity to implement a basket system. In my new room I will have a cutting table(!) with storage underneath. The second reason the last few days have been rough is I am helping my sister clean out my grandparents' house. My grandmother had passed 10+ years ago and my grandfather left all her things untouched. The house is like a time capsule. Meet my Grandmother Maxine. (left) Real name Mildred. 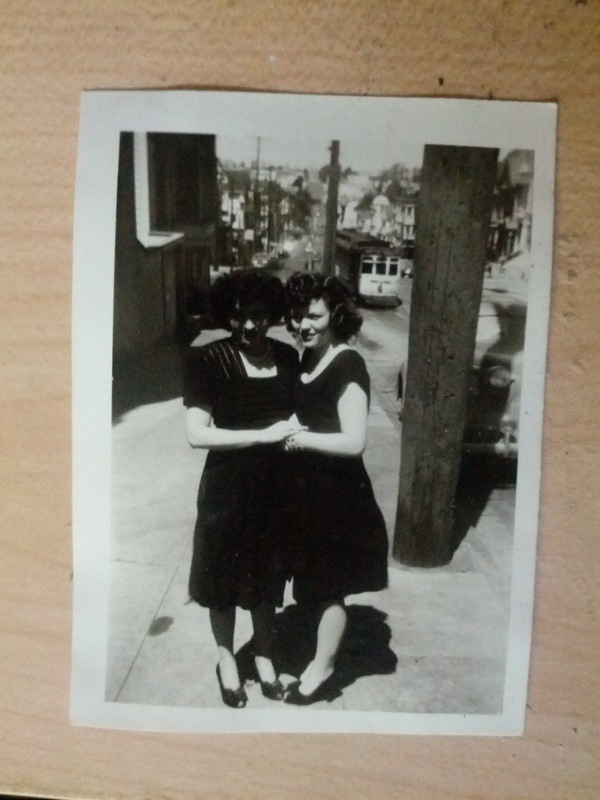 (Yuk) This was taken sometime in 1940's, and to me it looks like they are in San Francisco. 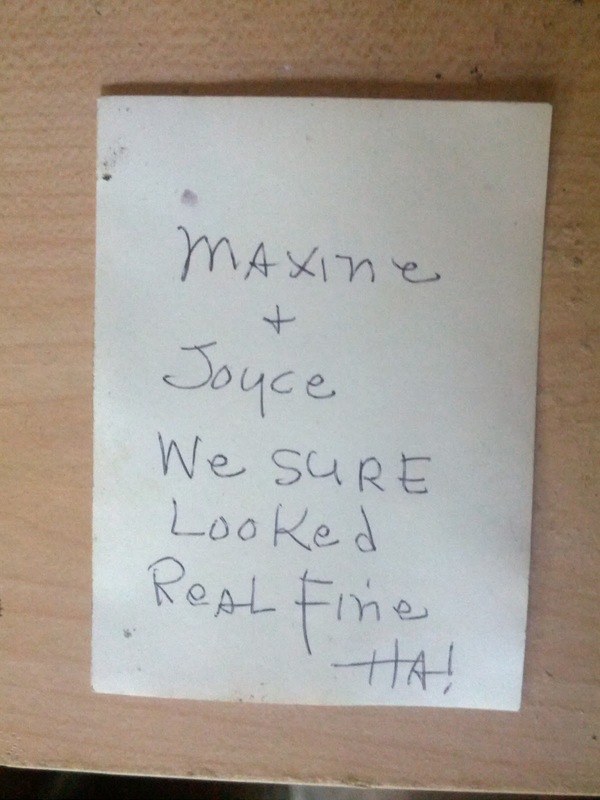 She was never much of a looker so I thought what they wrote on the back was super cute. It was in a dresser drawer all by itself and not with all the others, so I would like to think it was extra special to her. I never got the opportunity to get to know her that well but sorting through her things has made me realize how much we had in common. She had a love for sewing, make-up and high heels. Her closet was filled (and now mine) with colorful plaid shirts. She seemed to like to spend her time in her craft room or drinking. I mean come on! I hope to get my new sewing room in a usable stage very soon. Then time for a drink.